Iwo Jima is a small island one thousand kilometers south of Japan. 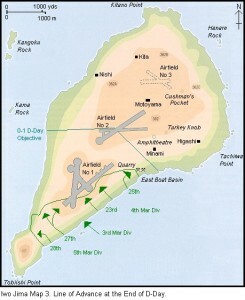 It is one of three Bonin islands along with Kita Iwo ad Minami Iwo. The climate there is much like it is here. Their Winters are very cold and their summers are very hot and humid. Torrential rain is very common when the seasons change and typhoons. Iwo Jima is most commonly known for its involvement in World War II. It was first settled in 1887 by Japanese fishermen. The battle of Iwo Jima occurred in 1945 in February and March. The Japanese wanted to protect their land and the US was trying to obtain a place for their planes to land for engine repairs and medical attention. 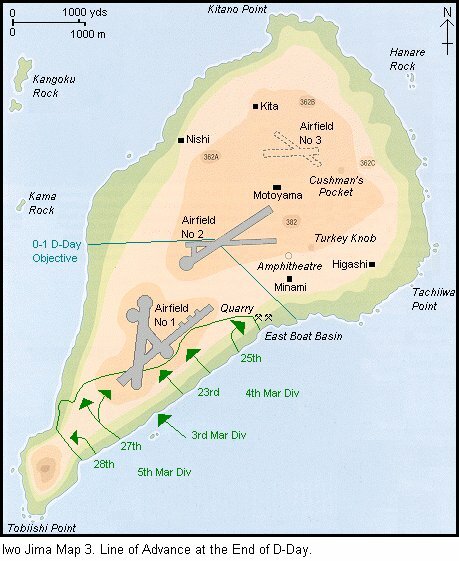 The US thought Japan didn’t know that we were planning to invade the island. The Japanese had knowledge and had began digging tunnels underground in which they were able to move around the island and fight unseen. Despite the odds, the Unites States claimed the island on March 26th. From that point on the United States was able to utilize the island to save over 24 thousand air men who would have otherwise died without medical attention. How to define an Island?